I BOUGHT MY FLIGHT TO ECUADOR! As you might be able to tell, I am seriously excited about this trip! I have read and learned about the Galapagos for years and now I will finally be able to go this December! Also, I have wanted to take some surf lessons for more than 10 years (the one and only time I tried it was in Honolulu, Hawaii in April 2003) and I will be able to combine it with some intensive Spanish lessons! 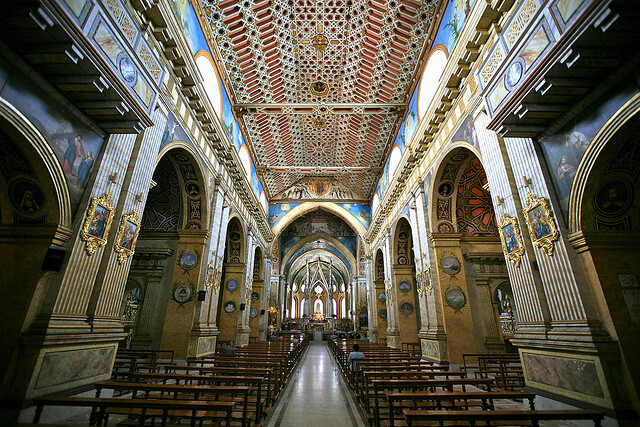 The Galapagos, Quito, Cuenca, and anything else I might see along the way is simply icing on the cake. A few months ago I wrote a blog post asking people if it is possible to backpack the Galapagos. 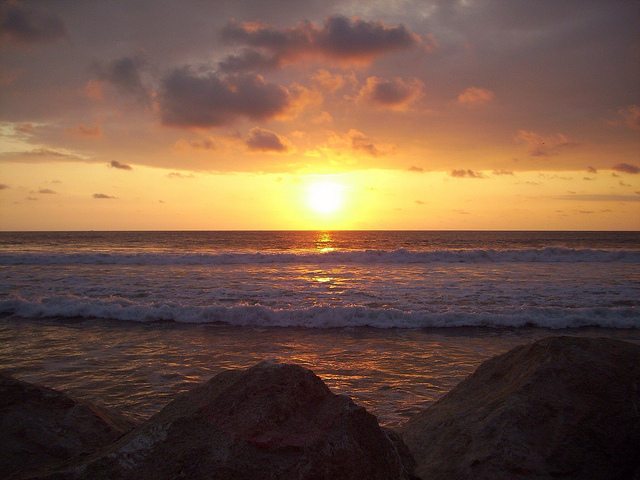 I have met a few travelers who backpacked the Galapagos and loved it. However, since then, I have talked to a few more people on my trip to Colombia who have convinced me that if you negotiate well, you can get a cruise for about the same cost as backpacking and doing day trips. Considering that I only plan on going to the Galapagos once in my life, I feel like I owe it to myself to do lots of research, to negotiate, and go on the cruise so I can get to see all of the wildlife that the Galapagos are known for! So here is a possible itinerary I created to kinda budget my time (and money!) in Ecuador and the Galapagos. I would love to read any insight and tips you might have regarding the timing and places that I plan on seeing. Is it too fast? Am I trying to cover too much? 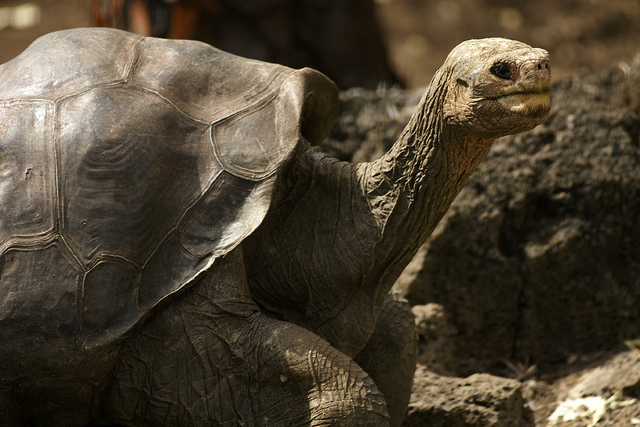 Day 2– Sunday Dec 20- Fly to Santa Cruz, Galapagos.Take pics with giant tortoises. Try to book a cruise if not already booked ahead of time. Day 3– Monday Dec 21- Santa Cruz- Leave for a seven-night cruise to the Western Islands (I really want to see Isabela, Fernandina, Bartolome, and North Seymour if possible). Day 9– Sunday Dec 27 – Return from Cruise. I heard that people usually return pretty early from the cruise. Is it possible to take an afternoon ferry to San Cristobal? 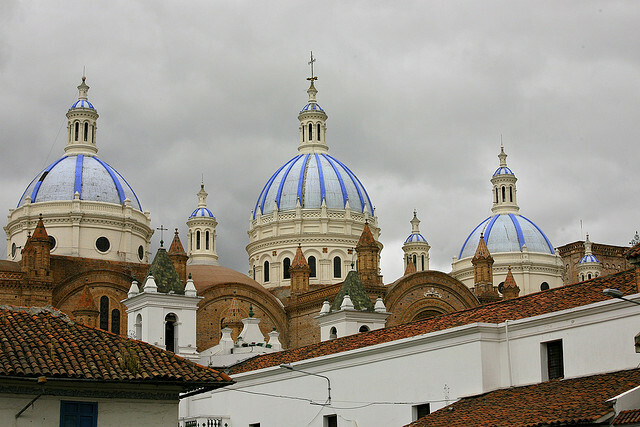 Day 11- Tuesday Dec 29- Cuenca – Cuenca Sign up for a half-day tour to Ingapirca for the following day. Visit the Museo del Banco Central and be sure to walk around the ruins and their botanical gardens. From the museum, take a taxi to Mirador de Turi, a strategic lookout with a beautiful view of Cuenca and its broad valley. Afternoon tour to Chordeleg. Day 12- Wednesday Dec 30- Do the Half-day Tour to Ingapirca, which is known as the Machu Picchu of Ecuador. Or go to Cajas National Park. Day 15- Saturday Jan 2- Montanita: Take an AM morning class. Take Spanish and surfing classes. Day 20– Thursday Jan 7- Quito- Day trip to Mindo for zip lining, butterflies, and chocolate. Parque Metropolitano – Very good park on top of a hill and provides amazing views of the city. Teleferico – Located on the eastern side of Pichincha Volcano is the world’s second-highest cable car. At 12,000 feet, you can see over six volcanoes on a clear day. Rides are $4.50 USD per person. Day 21– Friday Jan 8- Day trip to market town Otavalo. Great for leather bags and silver- two of my favorite things! Flight from Caracas to Quito $1000 RT- EEEK! It went up $300 since the last time I looked at it! Help! This is more than I want to spend thanks to the higher cost of the first flight from Venezuela and a cushion for a spendy cruise in the Galapagos. If you, dear readers, have any tips for how I can cut costs I would love to hear them! What do you think? Is this a good trip or what?! Have you been to any of these places? Do you have any advice for ways to save time and/or cut costs? Good luck! I’ve been hoping to get to the Galapagos for years and decided not to go when I was in Ecuador and save it for when I had enough to spend – which I still regret. Just spent whatever you can and it’ll defs be worth it!! Thanks! I think I will need all the luck I can get if I am going to be able to stay anywhere near my budget! I started saving for this trip using SmartyPig a couple of months ago, but if necessary I have a 0% interest credit card and savings that I can get into. I really want this trip to be memorable! Wow. You are a crazy planner. Since this is your Christmas holiday, I think it’s going to be expensive. I’m not saying “that’s the way it is” but you have your work cut out for you as, you know, Christmas is a BIG deal in S.Am. Looks wonderful, but all I did was live in Cuenca, so I hope you have find some good info on the web. And as you already know, budget more. I’m sure you’ll figure it out 🙂 Sounds like an amazing holiday! I haven’t bought my cruise ticket yet because my friends tell me to wait, but I know that people love to travel to/in South America around Christmas so I’m getting antsy. Hmmm. Interesting. I wonder why they say you should wait? They said that there are better deals if there are only one or two spots that need to be filled.